Solid, stylish and drenched in sun, this home is the perfect choice for professionals and families looking for a quality home in a sought-after location. 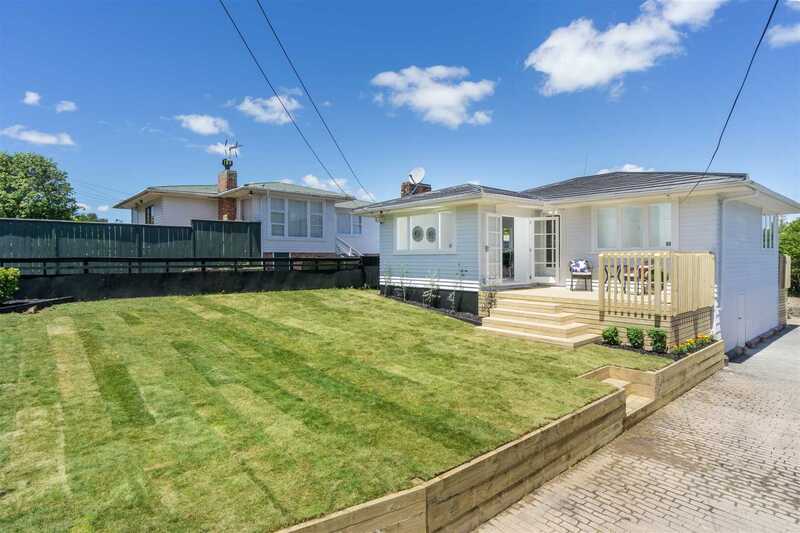 Constructed in the 1960's and built to stand the test of time, this weatherboard bungalow sits on a freehold section of 610m2 (more or less). You will love the peace of mind associated with a property of this era, coupled with stylish modern upgrades. With summer on the way, this three-bedroom property is exactly the place you'll want to be with your family and friends. Completely renovated and featuring a brand new kitchen and bathroom, beautiful new carpet throughout, large windows and French doors, the house is light and airy and a pleasant place to be. You are spoilt for choice when it comes to outdoor living. Enjoy your morning coffee overlooking your large front lawn and then come home after a long day and relax with a cool drink on the deck. With smell of the BBQ in the air and the sound of the kids playing cricket in the yard, you won't want to be anywhere else There is plenty of room for off-street parking down the driveway and basement storage for bikes and bulky sporting equipment. The section is well fenced to keep the kids and pets safe and sound. Located just a short drive to the South Western Motorway interchange, the amenities of both Mt Albert and Lynfield, restaurants, cafes and shopping, you will love the tranquillity of the setting coupled with the convenience of the endless services on offer. Zoned for Lynfield College and Blockhouse Bay Intermediate, you really can't go wrong. Move in before the end of the year and enjoy Christmas in this gorgeous home. This property is vacant, ready and waiting for the next lucky owners.